Mix your meat the old fashioned way, by using one of Zanduco’s manual meat mixers! 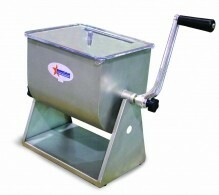 Tilting models available, in 17lb and 44lb working capacity. 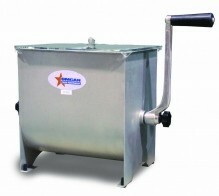 These manual operated meat-mixing models have a removable paddle, which makes cleaning and maintenance easy! 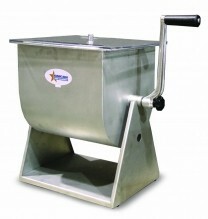 A manual meat mixer allows you to easily mix spices and flavors directly into your meat! A clear plastic cover ensures that the mixture is contained, and free from unwanted ingredients. 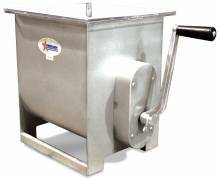 A meat mixer allows your establishment to diversify and try out new and interesting flavours! Make seasonal flavours and types of meat available, to make your butcher shop, deli, restaurant, or commercial kitchen unique! Looking for something with a larger capacity? Zanduco carries a large selection of electric meat mixers here.